Simply..... Tastes of childhood in a bottle. I have always loved D&B, but it mostly comes in the form of a fizzy drink that simply doesn't begin to compare to Mr Fitzpatrick's. 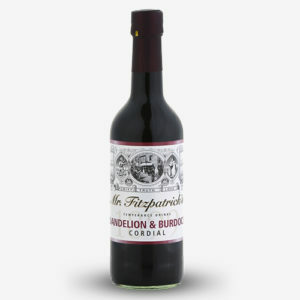 We bought a bottle at a Motorway Services and I had to muster all my willpower to make it last two weeks... Who needs booze, with Mr fitzpatrick's Temperance drinks?